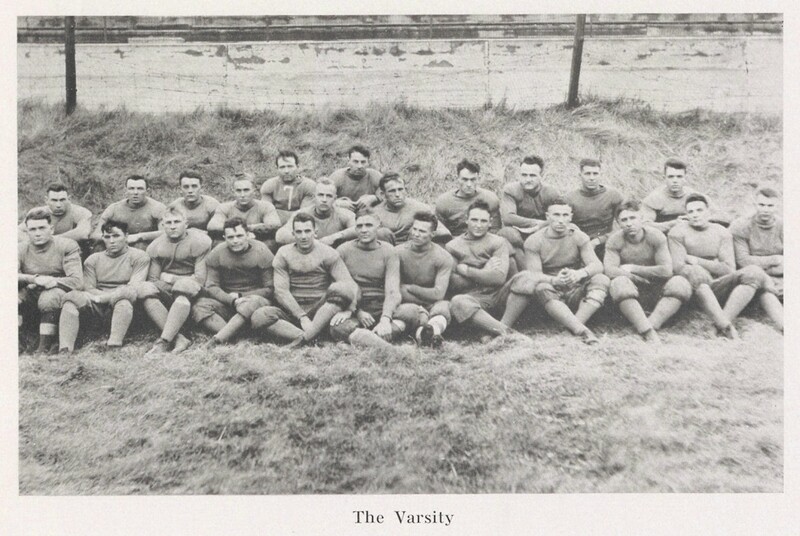 Drake University Varsity Football Team, 1915. Drake University Archives and Special Collections. 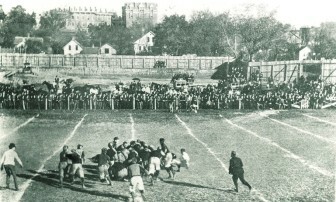 University of Iowa Football Game, 1900. Once again Thanksgiving weekend football is in Iowa City for the University of Iowa Hawkeyes’ Black Friday game against the University of Nebraska Cornhuskers at Kinnick Stadium on Nov. 25 and the Iowa State University Cyclones’ game the following day in Ames against the West Virginia Mountaineers. Each Thanksgiving we like to bring out this news quiz about Thanksgiving weekend football at Iowa colleges, given that the University of Iowa, Iowa State University, University of Northern Iowa and Wartburg College football teams are on the schedule this year. The state of Iowa’s history of Thanksgiving football goes back quite a few years.